China’s private firms are going global — and, by doing so, raising China’s prestige on the world stage. During the Chinese New Year celebration from February 7 to 10, 100 top Chinese brands appeared in an advertising campaign in New York’s Times Square. Although the Chinese economy seems to be entering a new phase of adjustment, these Chinese brands used the most expensive advertisements in the world to show the strength and optimism of the Chinese economy. Among these brands were some of China’s leading private companies, many of which are in the Internet and innovative technology sectors, such as LeEco and Gree. Gree’s air conditioners and washing machines are not uncommon in supermarkets in the United States. The CEO of the company is known as the “iron maiden” of China’s private sector, and the Gree smartphone even comes with a welcome screen that displays her picture and a quote. These are just two examples of leading Chinese private companies that are winning over the world market. Announcing their presence at a famous landmark in the U.S. during the Chinese New Year was not only an economic signal; the Times Square advertisements also carry diplomatic meanings. China is a socialist country under the leadership of the Communist Party. Although it’s been more than three decades since the introduction of the “reform and opening up” policy, the political language remains socialist. That is reflected in the economy as well. The Chinese constitution stipulates that the economy’s main form of ownership shall be “public,” to be developed with other forms of ownership. Public ownership refers to state-owned enterprises, while the phrase “other forms of ownership” means private ownership (i.e. private enterprises). Tellingly, China officially does not refer to these companies as private enterprises (私营企业), but as “people-run enterprises” (民营企业). When rendered in English their meanings are essentially the same, but the difference in Chinese reflects the sensitive and complex nature of China’s political and social landscape. After five years of rapid growth, China’s economy is now entering what President Xi Jinping calls a “new normal.” GDP growth has slowed down from above 10 percent to 6.5 percent while out-of-date production capacities are being adjusted and phased out. Steel and coal are facing the biggest challenges, and this is also where most of China’s state-owned enterprises are clustered. On the other hand, the Chinese government is giving its strongest support to the Internet and innovative technology sectors, and almost all the well-known companies in these areas are private ones. At the start of the Chinese New Year, the decision of many Chinese private brands, especially those in the Internet and technology sectors, to appear in Times Square is in fact sending a message: that China’s economy is not in decline, and that the economic “new normal” will continue to be competitive. This ad campaign is more persuasive than Chinese officials assuring the world on multiple occasions of their support for China’s economy. There’s no direct evidence that the Chinese government is providing funding for these private companies to promote the strength of the Chinese economy, but the government is no doubt supporting and encouraging competitive companies in their global expansion. China’s top leaders have acknowledged that the private sector, rather than large and bulky state-owned enterprises, holds the key to the future of China’s economy. Foreign observers who are interested in China’s development should pay more attention to the development of China’s private sector. Its growth may have more long-term benefits for the Chinese people than the political process of democratization. After all, the private sector has assimilated the majority of China’s labor force, and its fate directly impacts the happiness and financial security of hundreds of millions of families. Each choice these private enterprises make matters to China’s economic growth and its political progress. The global expansion of these companies also has an impact on the world economy, including the United States and Europe. These economic changes might also bring new dynamics to international politics. Among China’s private enterprises one has to mention Alibaba, the Chinese e-commerce giant headed by Jack Ma and counting net assets of 255 billion renminbi ($39 billion). 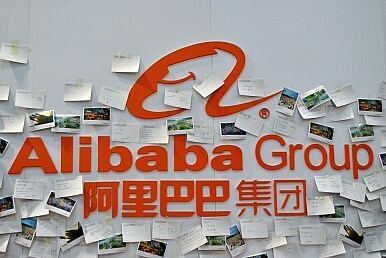 Though a private company, Alibaba receives generous support from the Chinese government. The World Internet Conference, for instance, has been based in Zhejiang Province since its start in 2014. Zhejiang Province also happens to be where Alibaba is headquartered; on China’s internet, the province is often referred to as Alibaba’s home base. Two months ago, when Xi attended the second World Internet Conference, Alibaba was the first company he visited. The G20 Summit in 2016 will also be held in Zhejiang. The summit will include top-level meetings between key business and industrial figures, something advantageous for Alibaba as well. Wanda, like Alibaba, is a private firm that has become a household name in China. Almost every big Chinese city has its own Wanda Plaza. In 2015, the company ranked second among the top 100 private companies in China in the service sector. In 2014, Wanda’s acquisition of a landmark in Madrid, the Edificio España building, attracted attention, and the media started focusing on the company’s global strategy. To date, Wanda’s overseas investments have surpassed $15 billion, outpacing many well-known international giants. Wang Jianlin, the company’s CEO, says the dream of Wanda is to become a world-class brand like Microsoft and Apple from the United States, something he believes will happen in seven or eight years. LeEco, one of the companies that advertised in Times Square during Chinese New Year, also has big dreams. The company has not only invested in green-energy automobiles in the United States, but also has Internet-related businesses in India, Southeast Asia, and Europe. The company now has the largest overall market value in the innovation sector of the Chinese stock market (China’s NASDAQ). Jia Yueting, LeEco’s CEO, reveals that one year ago she sent Apple an open letter, claiming she believed Apple’s closed Internet model would encounter challenges in five years and would be surpassed by LeEco. In the next decade, if China’s private sector can give birth to companies on par with Apple and Microsoft, both the Chinese and the world economy will be transformed dramatically. The influence of China’s leadership in international politics will also rapidly increase with the successful restructuring of the economy. With its development, China’s private sector will continue to change China.